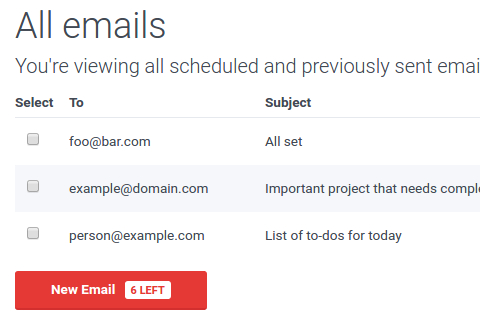 Adding a new email is incredibly simple. Choose who it's going to, enter in a subject, add some content, and pick the time you want it delivered. 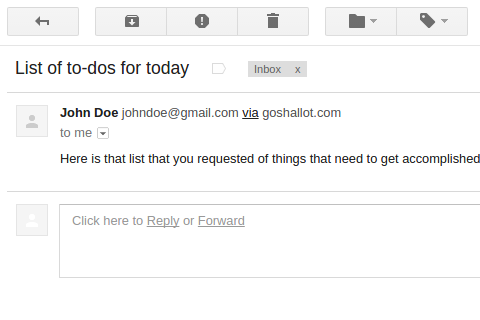 On one page get a comprehensive overview of every email tied to your account. See what's been sent out previously and what's scheduled to be delivered in the future. 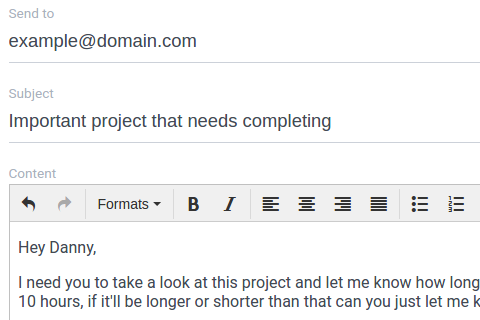 All emails sent out are masked as your email address and display name that you sign up with, and are displayed as such on the receiving user's inbox. Get notified of upcoming features and new releases.